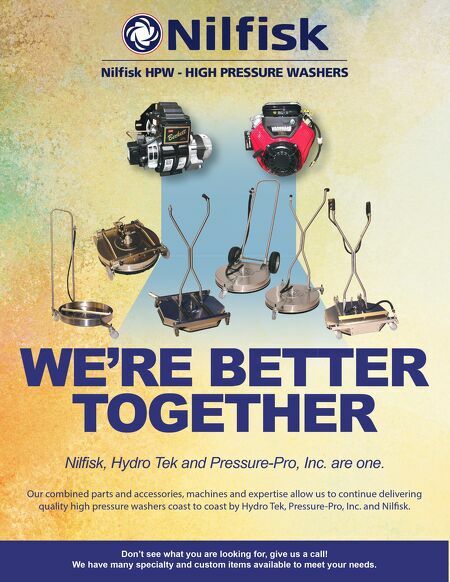 Nilfisk HPW - HIGH PRESSURE WASHERS Nilfisk, Hydro Tek and Pressure-Pro, Inc. are one. TOGETHER WE'RE BETTER Our combined parts and accessories, machines and expertise allow us to continue delivering quality high pressure washers coast to coast by Hydro Tek, Pressure-Pro, Inc. and Nilfisk. Don't see what you are looking for, give us a call! We have many specialty and custom items available to meet your needs.